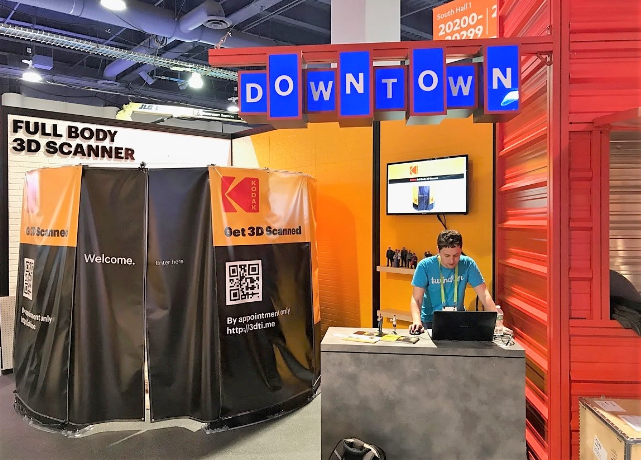 The Consumer Electronics Show is the world's largest technology show each year and this year we joined forces with Kodak year to bring a full body 3D scanner to the show to 3D scan people for 3D printed figurines. We received a spectacular response at the event as you can see in the pictures and case study below. 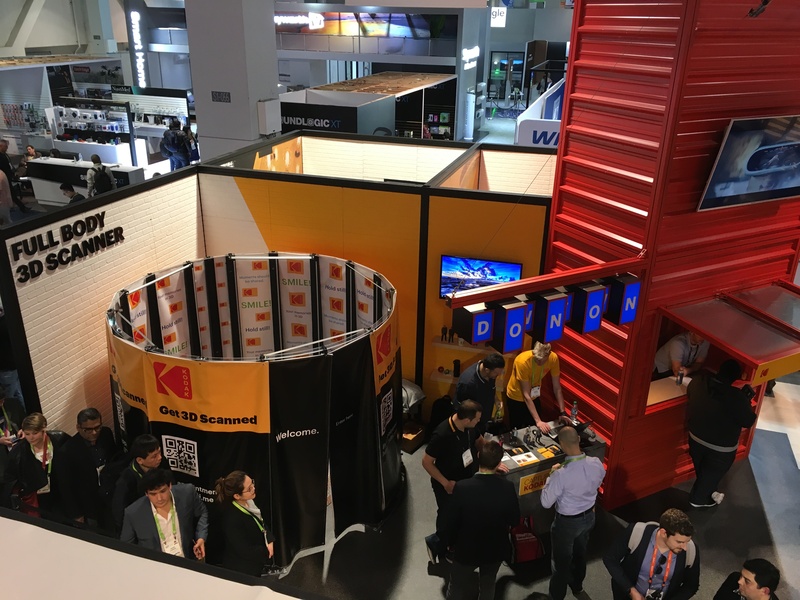 Although there have been other 3D scanning companies at CES in the past, the response we received with the KODAK Full Body 3D Scanner was truly phenomenal. We had a consistent line during the course of the event, spoke with thousands of people, and scanned many. It was great to have conversations about new use cases for the full body 3D scanning system and meet face to face with people we have been speaking with all over the world. Through our conversations we found that there are still many people who do not know about 3D scanning for the creation of 3D printed figurines, 3D portraits or 3D selfies, which confirms that there is a lot of room for growth in the industry (see our infographic on future growth opportunities). It was great to see some people's expressions when we told that the the sample prints we had were created with data from our scanning system. Following the success of CES, we plans to attend more trade shows as it was a good way for us to showcase some of the newest features of our full body 3D scanner and connect with customers. Want to learn more about the 3D scanning industry?